On January 25th, the jTatic Samuel Jcanan Lum 2018 Recognition ceremony was held at the Samuel Ruiz Memorial Hall of the Institute of Intercultural Studies and Research (Inesin) in San Cristóbal de las Casas, Chiapas. The event was presided over by Mons, Raúl Vera López, Honorary Chairman of the Convening Committee. This recognition seeks to disseminate and encourage the work of women and men, organizations and collectives that have been characterized by their contribution to the people in the creation of community and / or regional alternatives, as well as their work aimed at building unity and social transformation through peaceful ways. 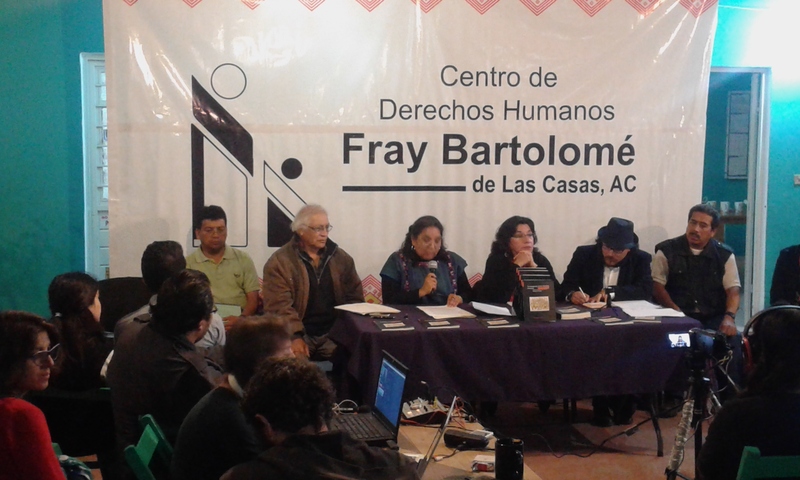 -Vidulfo Rosales Sierra, lawyer and defender of human rights, member of the Mountain Human Rights Center, Tlachinollan, Guerrero, for his defense of human rights, walking among indigenous peoples, peasants and relatives of the disappeared who fight for justice in the mountain of Guerrero. This option has led him to be persecuted and threatened with death. He is a protagonist of the history of our country. – The Committee for the Promotion and Defense of Life Samuel Ruíz, Chicomuselo, Chiapas. Made up of men and women who take their inspiration from jTatic Samuel. They defend and protect the territory against extractive projects that attempt against the life of the mother earth and the organized peoples in the southern border of Mexico. It is worth remembering that this recognition is given since 2010, making it coincide with the anniversary of the episcopal ordination of D. Samuel Ruíz García as Bishop of San Cristóbal de las Casas. Through this declaration, they demanded that the state and federal government cancel the 18 mining projects, because, as they claimed these projects pollute their cultivated lands. The same document estimates that 90% of the concessions that the government has given to mining companies in the last 10 years have been “conducted without any consultative process incorporate free prior and informed consent in good faith with us peoples who live here.” To support this declaration the peoples called on Convention 169 of the ILO, the UN Declaration on Indigenous Rights, the Mexican Constitution, and communal assemblies, exercising their right to autonomy. 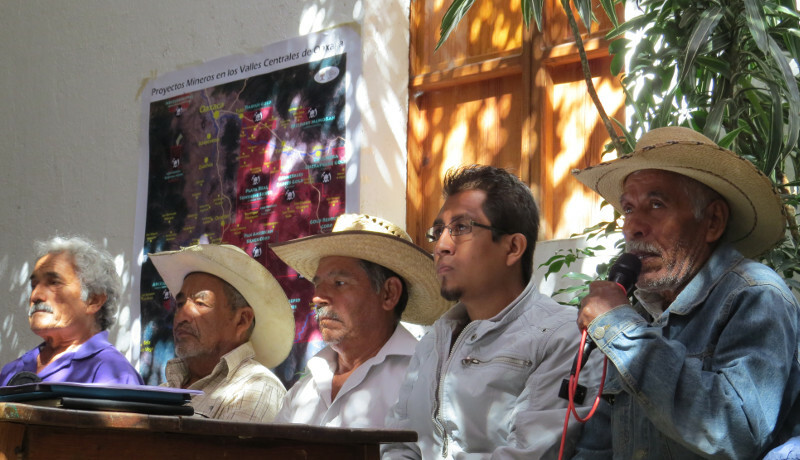 The communities agreed to promote peaceful actions to respect the accord to free their lands of mining operations. The undersigning authorities rejected the violence which took place in San José del Progreso between 2010 and 2012, in which 4 people were killed, 8 injured, and 5 others facing arrest-orders. You are currently browsing the archives for the Peacebuilding category.